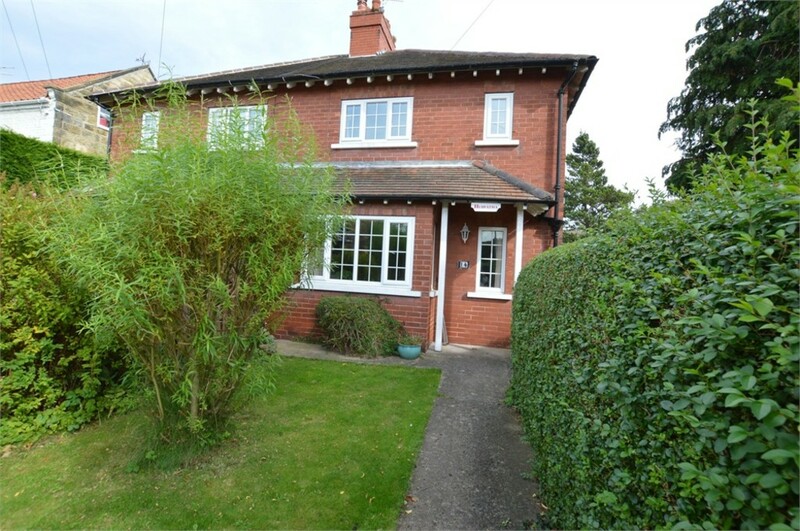 SITUATED IN THE CENTRE OF THE SOUGHT AFTER NORTH SIDE VILLAGE OF SCALBY THIS THREE BEDROOM SEMI DETACHED HOUSE IS PERFECT FOR A FAMILY OR AS A LOVELY HOLIDAY HOME. 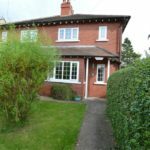 The property when briefly described comprises entrance hall, living room, generous breakfast kitchen/diner and utility area to the ground floor, with three bedrooms and house bathroom to the first floor. Externally are gardens to the front and rear also a gravelled driveway. Entrance Hall Entrance door, radiator and stairs to first floor landing with understairs cupboard. Livng Room 15' 9" max x 15' 6" max (4.80m x 4.72m) Two double glazed windows to the front, double glazed window to the side, electric fire with tiled hearth and feature surround, two radiators and picture rail. Landing Double glazed window to the side and access to loft space. Garden The front garden had a lawned area and gravelled driveway/off street parking bay. The rear of the property is an enclosed garden with paved patio area, garden shed and hedged and conifered boundaries. Breakfast Kitchen/Diner 19' 11" max x 15' 2" max (6.07m x 4.62m) Fitted with a matching range of base and wall units with work surfaces over, 1 1/2 ceramic sink with chrome mixer tap over, tiled surround, built in eye level electric oven and five gas burner hob, plumbing for dishwasher, skylight window, double glazed window to the rear and door leading out to the rear garden. There is also a built in utility area with plumbing for washing machine, wall mounted Vokera combination boiler and double glazed window to rear. The dining area features radiator, built in cupboards and plate rack. Bedroom One 12' 6" x 9' 8" max (3.81m x 2.95m) Double glazed window to the front, radiator and picture rail. Bedroom Two 12' 1" x 9' 8" max (3.68m x 2.95m) Double glazed window to the rear, radiator. Bedroom Three 9' 1" x 5' 7" (2.77m x 1.70m) Double glazed window to the front and side, radiator and picture rail. Bathroom Fitted with a white three piece suite briefly comprising; panelled bath with Mire shower over, low flush WC, pedestal wash hand basin, radiator, part tiled walls and double glazed windows to the side and rear.